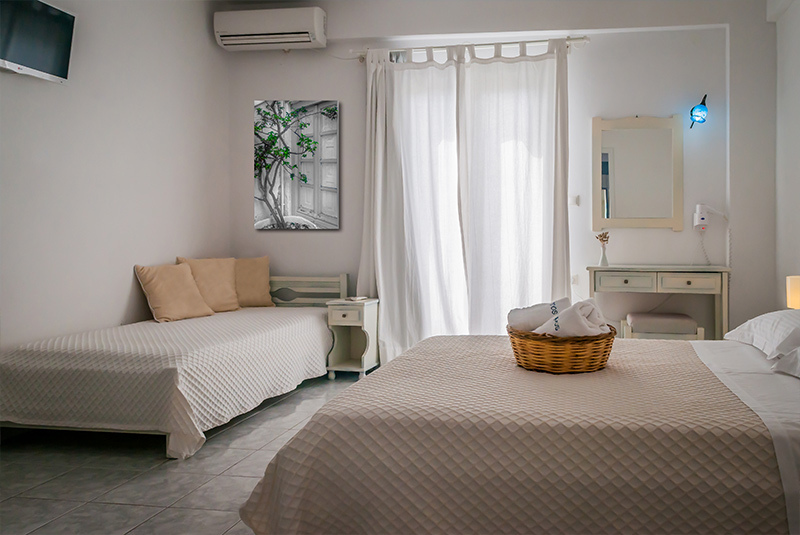 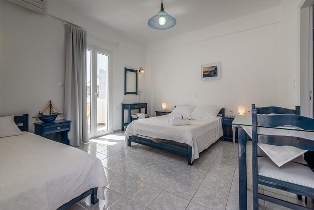 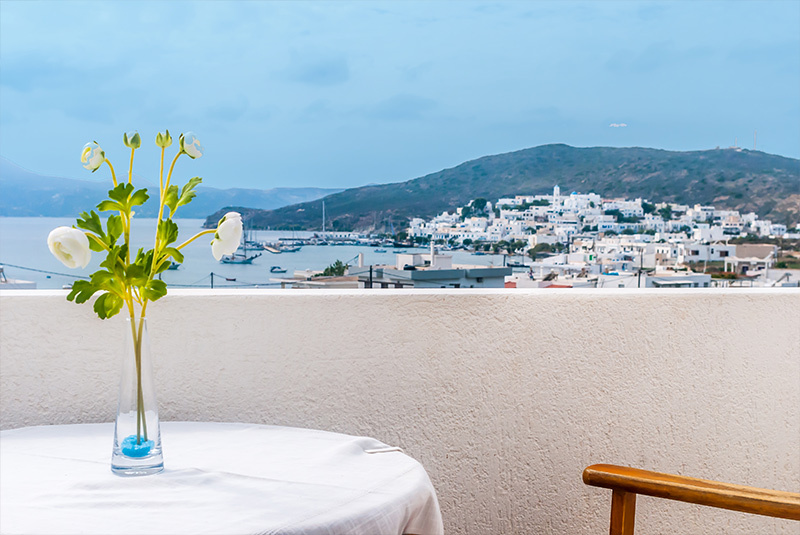 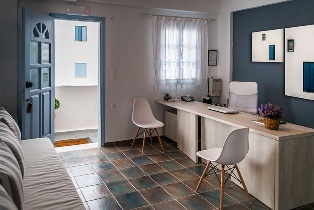 The Ippocampos Studios hotel is located in the heart of Adamas, a tourist center and a port of Milos, a seaside village that perfectly combines the tranquility and relaxation with the night life and wonderful food !! 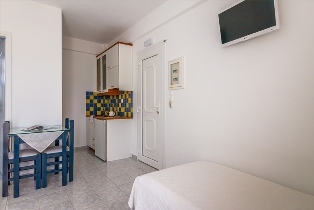 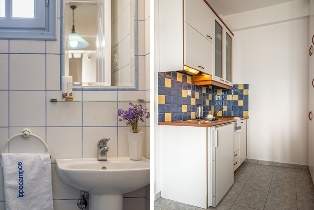 Ippocampos Studios is just 1 km from the port and 200 meters from the nearest beach. 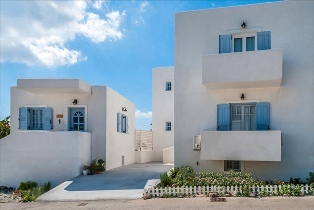 The visitor can stroll around, do his shopping, and go for a swim at Papikinou beach, awarded with a blue flag, a wonderful sandy beach with crystal blue waters and large trees. The beach is organized with sun loungers, umbrellas, coffee and food. 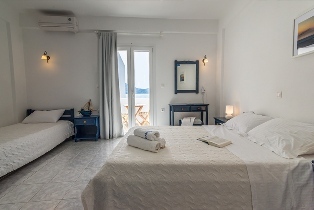 Combining the quiet, family environment and the magnificent view of the bay of Adamas, "Ippocampos Studios" has four categories of rooms, each with full kitchen and with its own veranda that overlooks the bay of Adamas. We provide wireless internet and parking, as well as free transfer to and from the airport or harbor. 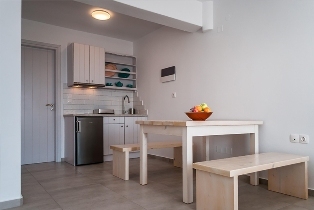 Distances to any destination in Milos are very short, the longest route does not exceed forty minutes and by selecting Ippocampos Studios you will be located in the center of the island, with all the beaches and places of interest close to you. 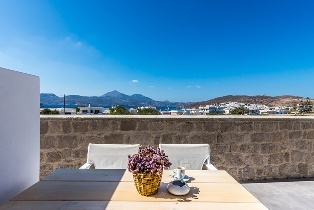 The family Tourlos' mission is to acquire not only clients but also friends who will come back to our beautiful island and to us in the future. 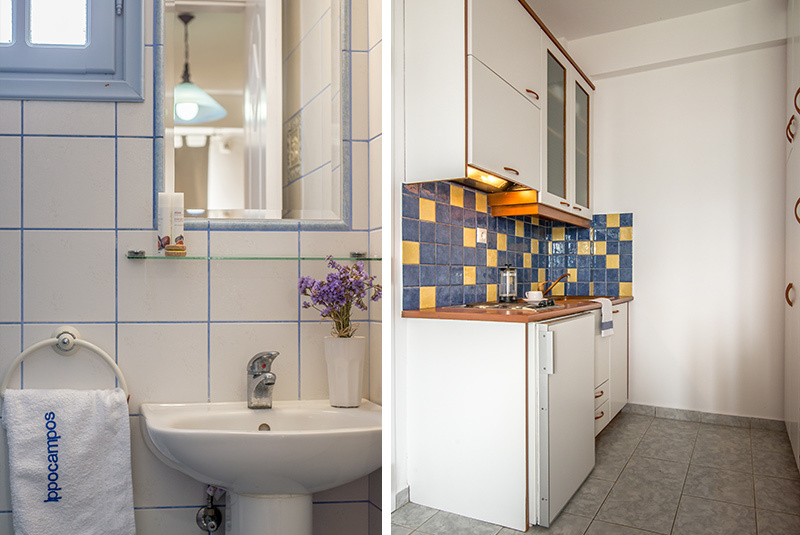 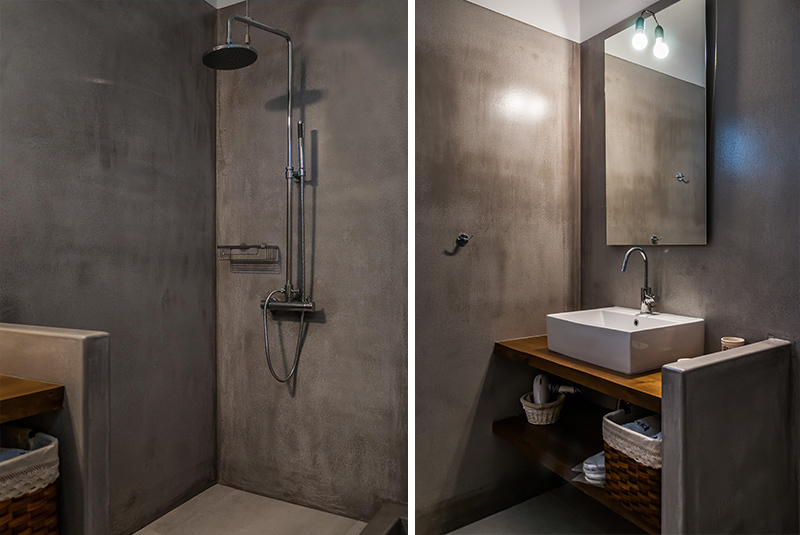 Our efforts are dedicated to full satisfaction.